Music legends Gloria Estefan and Jimmy Buffet appeared at the Coral Gables Museum on Thursday night as part of a campaign to save the Miami Marine Stadium, where both previously performed. The event was hosted by the National Trust for Historic Preservation, which has designated the stadium a national treasure. 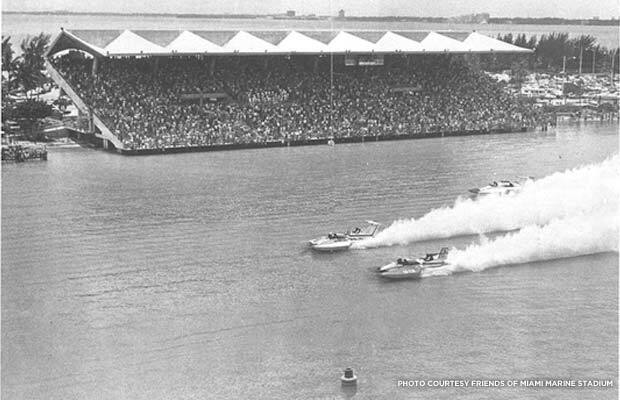 Built in 1963, the stadium was deemed unsafe following Hurricane Andrew in 1992. 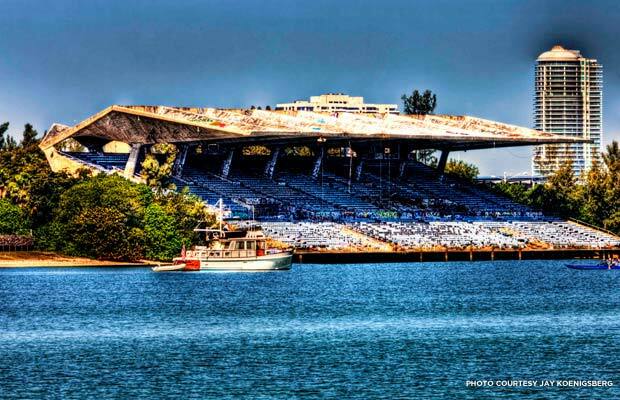 Read the story and watch the video by CBS Miami • Check out Friends of Miami Marine Stadium's preservation site.